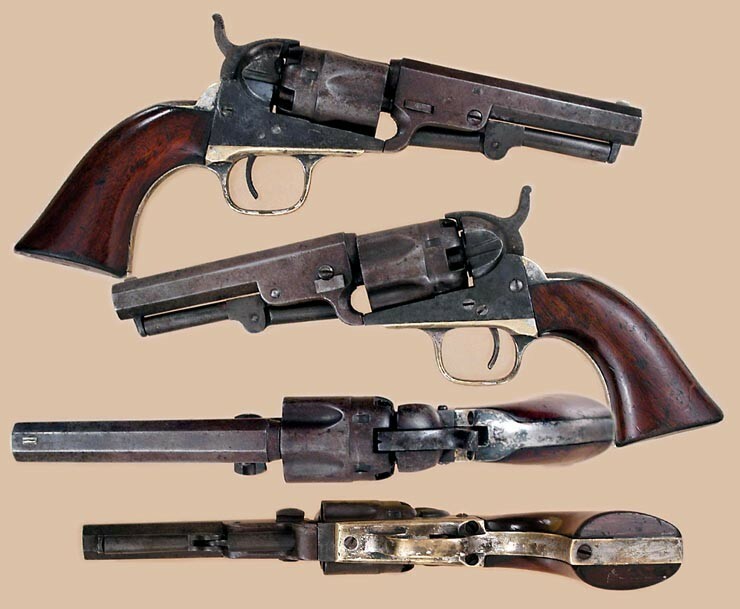 Josiah Ells "Double Action" Percussion Pocket Model Revolver "2nd Model": .28 cal. 5-shot, round cylinder, 3-3/4" oct. 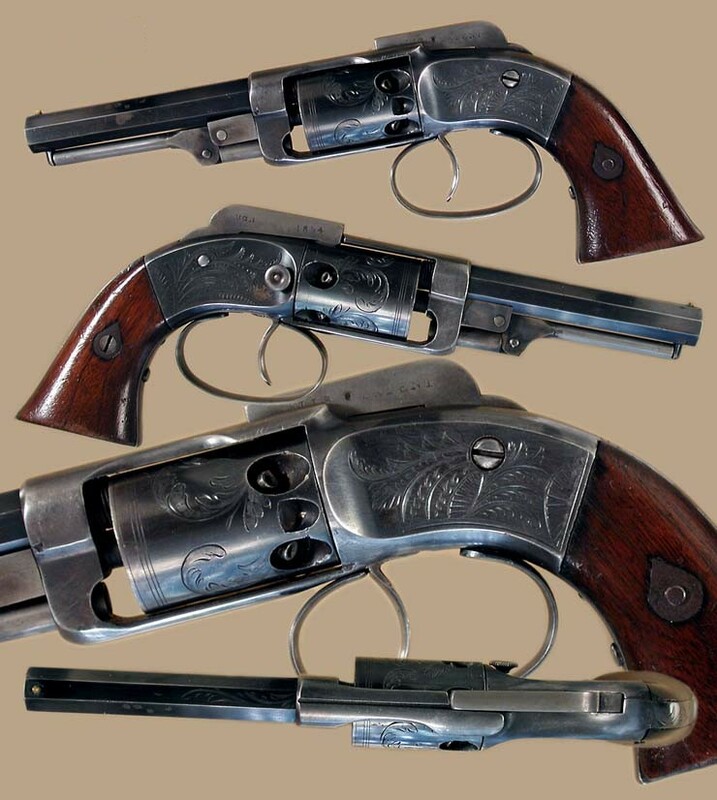 bbl., the barrel, engraved cylinder, engraved frame, engraved back strap, and engraved trigger guard all retain 99% original blue finish. The barr hammer is marked "Ells Patent August 1, 1854." Many thanks to "CWSLAGLEANTIQUES" for the nice pictures. Josiah Ells "Double Action" Percussion Pocket Model Revolver "3rd Model": 31 cal. 5-shot, round cylinder, 3-3/4" oct. bbl. 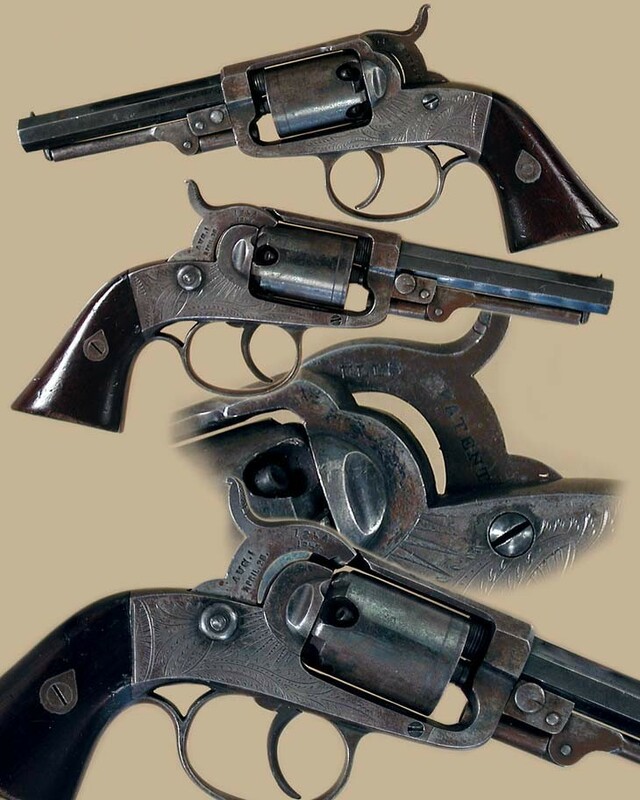 This revolver is a side hammer double action. The hammer retains the address "Ells/Patent Aug. 1, 1854/April 28, 1857." Joshiah Ells, Pittsburgh Pa. Percussion "Pocket" Revolver: 36 cal. perc., five-shot fluted cyl. The 4" oct. barrel retains a dark brown patina with traces of blue finish. The frame has two capping grooves, one on each side, unlike Colt having a groove only on the right side.